When US diplomat Richard Holbrooke and former Swedish Prime Minister Carl Bildt gathered Bosnian Muslims (Bosniaks), Serbs and Croats together in 1995 at an American air force base near Dayton, Ohio, harassing them into a deal that would end years of terror, genocide and ethnic cleansing that became the modus operandi of what initially appeared to be Serbian resistance to a breakup of communist Yugoslavia but emerged as an utterly brutal attempt to widen borders of Greater Serbia on the territory of former Yugoslavia, the world breathed a sigh of relief. Dayton peace agreement for Bosnia and Herzegovina (BiH) was signed in November 1995. Consequently, Carl Bildt was installed as the first High Representative for BiH and remained in that role during the initial crucial 18 months of implementation of the Dayton agreement. Holbrooke and Bildt essentially endorsed the partition of the country into Serb Republic and the Bosniak-Croat Federation, giving ample leverage to Serb republic forged on genocide to affirm itself as some legitimate entity that has a “God-given” right to independence. On the Federation side, the Bosniaks grabbed a card blanche made available through this Dayton deal to pursue oppressing the Croats. Lacking political and institutional incentives for inter-ethnic cooperation, lacking leadership via the internationally imposed Office of High Representative the system imposed in BiH rewarded, largely unchecked, ethnic-based nationalist platforms and intra-ethnic infighting, making cross-group cooperation almost impossible. (Milorad Dodik, the president of the Serbian Republic entity of has turned to nationalist rhetoric to gain and consolidate power since 2006 while in Bosniak controlled government of the Federation the Croats are increasingly suppressed into a tortured, striped-of-most-decision-making-rights ethnic minority even though they are a constitutional ethnic group just as Bosniaks are). Hence, divided into two entities, the Bosniak-Croat Federation and predominantly Serb, Serbian Republic, post-war BiH has been marred by political games – that retard democratic progress of ethnic equality – trickling through either actions or inaction of the Office of High Representative, systemic corruption and remains vastly underdeveloped. A mess of overlapping and competing administrations, ethnic rivalries that undoubtedly owe much of their their impetus to unresolved or under-resolved war crimes issues (Bosniak side seems to have magically evaded full responsibility for its part in the violence and bloodshed) had created out of BiH a mecca for ethnically based politicians at all levels to exploit many possibilities for corruption and personal enrichment. All the while unemployment grew to catastrophic proportions (hovering around 45%) due to utter inadequacy in economic development, corrupt and atrociously managed privatisations, and thieving, yielding a large sector of population that lives in distressing levels of poverty and hopelessness. Most of the while the European Union kept injecting subsidies, keeping this dying, suffocating Dayton agreement model afloat. 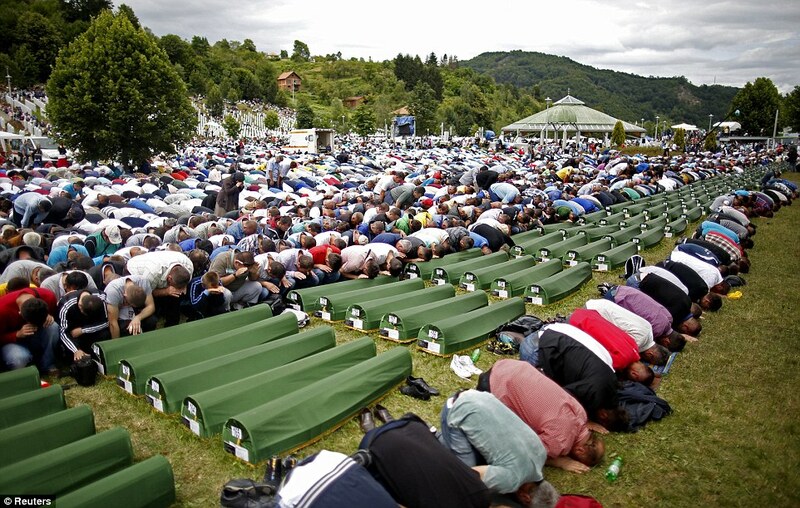 The 19th anniversary of Srebrenica genocide has just passed and was marked by the heartbreaking burial of 175 souls whose newly identified bones were scattered across a number of mass graves found on the territory known as the Serbian Republic. The Serbs still deny the genocide, the Serbs still seem to count on international politicking to bury the past and create a peace, in the creation of which they would not need to lift a finger, not even the one that represents remorse. “The commemorations remind us of the terrible consequences when poisonous rhetoric is followed by acts of killing and ethnic cleansing, and when these go unchallenged. We reject entirely the efforts of those who seek to alter history, to deny Bosnia and Herzegovina’s rich and diverse ethnic make-up, or that work to undermine the territorial integrity of this country. The redrawing of borders in the Balkans is over. Germany and the UK stand firmly with those in Bosnia who want to a build a peaceful, united and prosperous future”. The international community repeats what was said in 1995 for BiH and it contributed heavily in making it into what it is today: a country exhausted from foreign power play and a country ready to be divided into three entities in accordance with its three ethnic constitutional peoples (Croats, Bosniaks and Serbs). What the international power brokers either don’t understand or won’t acknowledge is that ethnic communities in BiH are not the same as ethnic communities in US, UK, Germany, France etc. Loyalty to the ethnic communities and their identities are intrinsically very strong and it is upon that strength that joint existence within the state should be built. Well, Juan, whatever happened in WWII – and a great deal happened to all sides – is no reason to do what they did in the 1990’s, if it is then the other sides did wrong for not hashing out the atrocities Serbs did in WWII. And there is plenty. Will Bosnia become another Palestine & Israel? Who knows, tolerance for too much is found while the same people vow to not ever repeat WWII atrocities. Point well said… You shed light on a dark subject… Here in the US people only get one side of the news.. They tell us only stuff the way they want us to hear in this country… “Those bad Croatians and the poor poor Serbs!” I know there are two sides to every war…. You’ve seen movie about camps they sent Serbs to in WWII? Have you seen movies about Serbian crimes against Bosniaks, Jews and Croats in WW II? Have you seen what Serbs did to us in 1990s? Your knowledge about the history appears to be very selective. What do you think of the Northern Ireland solution? There, Protestant and Catholic groups, the religion symbolising complex historical origins, live in the same cities and towns. The Protestant majority party produces the First Minister, who has to govern in coalition with the Catholic majority party. Ian Paisley and Martin McGuinness his deputy were known as the “Chuckle brothers”. I know that “Chuckle Brothers” earned the nickname because at public events they were often seen smiling and joking together. I think that the people of Northern Ireland feel best as to whether there was anything of substance to heal the wounds in all the bonhomie and general back-slapping between the self-confessed IRA terrorist McGuinness and the DUP Leader Paisley. Did the people feel good as the “Chuckle show” led one to believe? Perhaps not all did, but certainly Peter Robinson, replacing Paisley, seems to have taken the role of his predecessor. To my understanding the majority of people, particularly the young, don’t feel there is peace in Northern Ireland despite of the “daily hugs” between former archenemies. Having said that, I think this “duo” has done a great deal to move the country forward. And I think that the “secret” of this success can be attributed to giving both sides high powers in governing that part of UK; one being the First Minister and the other Deputy. However, the fact that the majority produces the First Minister can prove quite difficult with time; as I see it in such circumstances each group should have a turn at that prime position. Similar system of leadership could work in BiH I believe where “one side leads all” for a time and then “another side leads all” and then another side (as there are three) and so they take turns until the past becomes just that – the past. Thank you, Barbara, for the reblog and comment, genocide or any killing of innocent people are atrocities no human being deserves or should ever be subjected to, indeed. What will be the legacy of Dayton? It is good to see that people in the international community, such as the ICG, are beginning to see the errs in their ways. The only way to a long-term peace, as well as gradual prosperity, is equality, is reciprocal rights for all three nations in three cantons, and or republics. My how time has its ironies. A very interesting analysis, by a British historian and professor no less, on the British obsession, and overt propaganda activities, to salvage Serb gains, prevent a US intervention against the JNA-VRS, and demonize Croats in the media to ensure Serb supremacy, as well as goad the Bosniaks into attacking the Croats in B&H – with HZHB taking in 330,000 Bosniaks, and Croatia taking in an additional 400,000 (and both training and arming Bosniak men to fight the JNA-VRS aggressor) – to consolidate Serb gains: http://hrcak.srce.hr/file/151904. The inconvenient truths put forth by Professor Almond seem to have been entirely ignored by the ICTY political Commessars, I mean judges. And of course, the US/UK strategic propaganda outlets RFERL, SETimes and Balkan Insight. Equal rights to all three ethnic groups would be the best solution, I agree, therealamericro. That would assure various abuses etc from “majority” that “creep in” on account of sheer numbers. Great link to doc, thanks. I can’t find an English version of Dr. Almond’s analysis just yet. When I do, I’ll post it on this comment thread. It is interesting how the testimony of perjuring, war profiteering, hate mongering liars like Mesic and Manolic is accepted as “fact” (despite their overt political ambitions to demonize Pres. Dr. Tudman at the time to ensure their own political campaigns and foreign power monetary donations for their political careers), yet the expert testimony – based on facts, logic, detailed chronological analysis, and objectivity – like Dr. Almond’s, was and is entirely ignored by the foreign subsidized sham “opposition” (Yugoslav ultranationalist socialist) media in Croatia, and of course in English speaking media, including US/UK strategic propaganda fronts REFRL, SETimes and Balkan Insight. Sidenote: a warning to readers and commentators, especially those in the US: DARPA and other government entities monitored and monitor those sites traffic as well as article discourse participants, and have been overtly (meaning the media was allowed to report on it) since 2007, and if you are too persistent or effective, you may find yourself a victim of an online false flag operation or some other sort of reputation destruction (https://firstlook.org/theintercept/2014/02/24/jtrig-manipulation/), especially now that the pesky Smith Mundt Act, which forbade US government and or agency propaganda targeting of and or being available to domestic US audiences, being rescinded in 2013. Considering Ina’s website engages both Croatian and Croatian Diaspora, as well as Hercegbosna communities, and there are explicit interests and diplomatic, economic, and geopolitical goals by said powers (who, as Snowden has showed, have absolute power and absolutely no regard for the rule of law, or common decency), it goes without saying that every keystroke is monitored here as well. My humble piece of advice is to get a cheap and clean computer or laptop and operate off of TOR browser (at a minimum, download Linux onto a flash drive and use it to boot your laptop or computer for any online political reading or activities, using DuckDuckGo as your browser which doesn’t record your searches or online activities), and comment on social media and or news sites and blogs using dummy email accounts (via TOR or running off of Linux using DuckDuckGo) if you don’t want to be actively monitored and profiled by the 24/7, 365 day a year US/UK/Five Eyes online Ministry of Truth. These people are psychos and want to control internet discourse, and punish unwanted 1st Amendment expression and unwanted thought expression (thought crimes). The thought of parity, equal rights and reciprocal rights, as well as Hercegbosna was criminalized (evidenced by Dr. Almond’s analysis and testimony) in 1993, through to today. The ICG recommendation is a breath of fresh air, and will likely be implemented over time as it is the only rational solution, but the Orwellian surveillance Leviathan is still here and you can still find yourself with an asterix next to your name and be precluded from a host of jobs in both the private sector and government. Or overtly targeted for reputation destruction in one way or another. 1984 is upon us. Some of us thought criminals are already screwed and it is too late to even bother with any online anonymizing – my advice is to try and stay off of their radar as much as possible if you can to prevent yourself from being branded as a “radical” or “extremist” – for supporting political equality for Croats in B&H. This is “interesting” – happy to have an asterix beside my name – have a backup plan for life, therealamericro. Thanks for this and yes I too believe the ICG Report and recommendations will go far, hurdles there will be, though, but what’s that yo a people who have suffered so much already. They will prevail. Here is Dr. Almond’s (Oxford University) testimony in regards to many of the myths (Karadjordjevo, “Croatian aggression against B&H,” etc. ad nauseum) held near and dear to greater Serbian revisionists and guilt-equators, as well as Bosniak ultra-nationalists, and of course their Yugoslav nationalist socialist apologists in Croatia: http://www.icty.org/x/cases/kordic_cerkez/trans/en/000626it.htm. Add these two links and their contents to your files for online debate dear readers. 21 absolute precision what was agreed to at Karadjordjevo? 24 that there was an agreement. 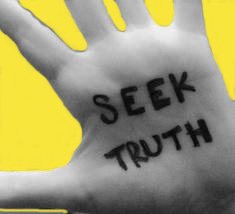 The fable, lie, so many picked up on as truth because it came from supposedly credible mouths and yet those mouths produced nothing more than fabrications and lies or told their fables in such as way that those who wanted to use them as “weapons” had something to hold onto. Dr. Joseph Goebbles, teacher and mentor of Mesic, Manolic, Yutarnji and others. You would be way better of if you google Transcripts of Tudman,Vrhovnik left them behind. I fully support our Croat brothers right in Bosnia not only to self-rule but also to join Croatia if that is what they wish. People who do not want each other can not be forced together. The Serbs must join their brothers in Serbia and the Bosniaks can have central Bosnia and the capital. All croat lands in Bosnia should have the right to do what they want. Bosnia is an unnatural state. Tito our greatest son tried to unite us but the people do not want each other fair enough let every man takes his land with him. While I do not count Tito as one of the greatest sons of the woods I come from, he did try to unite but his tries were flawed something awful, he did not hold all peoples of Yugoslavia equal. He liberated his country from German and Italian colonization including defeating domestic traitors then he managed to build free health care, free education, free housing, social justice, jobs, people used to be happy. It is after his death everything went down he had to make every nationality happy at the same time which was impossible. Giving Albanians self-rule only to provoke Serbs, the Muslims he gave a nationality demanded more, Slovenians/Croats only wanting tax money to be used in their area, the people of yogoslavia was a huge problem and the war after his death only proved that they can only be ruled with brutal strong man. Well Muhamed, it was easy to borrow money in his times and he borrowed left right and centre without building a system that could sustain the international loans repayments etc. What occurred after his death was a result of his actions. If you are saying that Croats and Slovenes had no right to claim a fair share of their earnings that is wrong. I think all the people of former Yugoslavia are well equipped to rule over themselves, the problem starts when oppression and forced brotherhood is imposed without equal considerations and that is what occurred under Tito. We may disparrage our country here, but we are “free” of this turmoil, so far. I forget how lucky I am sometimes to have what I have and live how I live. It is sad that it takes seeing other peoples misfortunes before I appreciate the lack of mine compared to theirs. Yep, “TRey” – if learning about others’ misfortunes helps us to lighten the load ours have would make life lighter, at least for a while at a time. In regards to certain means for readers, bloggers and online activists to remain anonymous, here are two links for motivation to do so – these Orwellian psychopathic criminal sociopaths are totally out of control: https://firstlook.org/theintercept/2014/07/14/manipulating-online-polls-ways-british-spies-seek-control-internet/; https://firstlook.org/theintercept/document/2014/07/14/jtrig-tools-techniques/. Do you remember the visitor you removed? That was an online covert agent trying to plant a seed for future discrediting (readers: an online covert agent posted positive issue and linked Ina to its own anti-Semetic blog, to discredit Ina – if this is brought up against Ina to discredit her, you heard it here first that it was a fix and she removed the government troll scum promptly). Keep up the fine work Ina! There are more than 3 cultural presences in B i H there are more than 3 political ideologies in BiH, there are more than 3 religious identities, and there are many more who believe that the rule of law, equal opportunities, universal suffrage, separation of powers, secularism and the efficacy of a unified administration and infrastructure is a greater benefit than pandering to the navel gazing born again Serb or Croat . There are so many examples to reveal the consequence of such a division; eg the destruction of Stolac as documented by the Society of Spanish Architects’ investigation of the systematic destruction of the historical presence of Bos Moslems in that once beautiful place now desolate and stagnant. The Croat nationalists and their rag bag militia brought in an architectural historian from Zagreb University to advise them of the most significant buildings to prioritise their destruction and then unlike in WW 2 where they simply vandalised the buildings this time they used bulldozers to demolish them and then removed all the stones for crushing at a separate area to prevent the locals from rebuilding using the original stones. If they could they would have used the same technique on the Old Bridge in Mostar instead of simply bombing the stones into the beautiful Neretva. Such is the depth of the cultural vulgarity of the nationalists and their myopic belief that for one to exist the other must disappear. Bosnia is Bosnia and a person from there, irrespective of their mode of religious conditioning or taste in seasoning, is not a Croat from Croatia nor a Serb from Serbia. Attempts to make such a link is a sociological folly usually based on historical revisionism and a narcissistic need to see only one’s reflection in one’s surrounds. Beware of what you wish for, it may come true and haunt you. It’s more a matter of equal access to governance than a matter of division of BiH, Earle. Obviously, solutions so far have not worked but there are more and more visions of what could work. Perhaps you are right and perhaps it will be as you say if enough energy and will is invested but if not then the current division into two is definitely not the way to continue. Bosniaks and Croats need to start “quiet” negotiations about new re-organization of the Federation. Bosniaks need contiguous territorial unit. To accomplish this, we need to join territories of Central Bosnia with the territories in the Western Bosnia. Croats also need their own territorial unit/canton within Federation. The status quo simply does not work. Bosniaks are very naive to dream about some kind of “Bosnian nation” — Serbs and Croats will never see themselves as “Bosnians” in any significant numbers; we need to think about strengthening Bosniak and Croat position in Bosnia-Herzegovina — and we can do that only if we re-organize Federation into two contiguous territorial units – Bosniak and Croat. I’m glad to see that there are Bosniak realists out there. 2. Cantonization / confederalization with territorial discontinuity (something both Bihac pocket Bosniaks and Lasva and Zepce Croats are already used to) with the reciprocal rights stated above. This could have been achieved in 1995, unfortunately, Izetbegovic went to Holbrook who threatened Tudman with crippling sanctions, to hand over what is now the SW pocket of RS to Karadzic, in exchange for Izetbegovic getting a few more square kilometers of depth on the road to Goradze. This strategic and diplomatic blunder screwed both Bosniaks and Croats. The Federation debacle post-2000 was a US/UK/OHR project. Spearheaded by Karadzic’s unofficial wartime spokesman, Paddy Ashdown (who called the conditions in Keratem and Manjaca humane), the entire purpose was to goad the Bosniaks into the fantasy of creating a centralized Federation at the expense of Croats, which of course strengthened RS both rhetorically and eventually, administratively. The best solution is a Bosniak-Croat negotiation, with no delusions of grandure, or US, UK, OHR or EU bureaucrats dictating what is best for us. A Catholic aka Croat (sic) from Bosnia goes to the coast and says ‘hi fellow Croat I am like you a Croat’- the reply is 9 times out of ten- ‘hey Bosanac ni si Hrvat’. Or such is my experience in collecting the stories from that region over 40 years. Such is the view of those outside the BiH border why is it so different within? ‘Cantonisaation’ or confederacy again will only create more suffering for the citizens of BiH as it will result in duplication and conflict of service providers and worse a platform for the chauvinists to peddle their single minded policies. What people seem to be saying is allow my voice to be heard, allow my children to connect with my predecessors, allow me the right to be myself. Given the mix inherent in the BiH population then for this realisation to be possible a system based on human rights and multicultural principles is the only solution secured by a secular democratic process. Anything else is doomed to repeat the horrors of the past where thuggery beat intelligence and compassion into the shadow lands. I should stay out of this because I just may come across as only wanting to argue. And that isn’t true–although I’m not the least bit reluctant to voice a dissenting opinion. But you are my friend, so I will not risk breaking through thin ice. But, in fact, I not only am willing to learn more I *need* to learn more and am eager to. For instance, when I read “card blanche,” honest-to-goodnes, I thought, “Learn something new every day. I always thought it was _carte blanche_. That’s the way I had remembered hearing it — I don’t remember reading it. Anyway, I hope you stop by my site sometime, and let me know how I can do better. I’m always on the lookout for ways to learn more and make that information available to others. I have it set up so that you can comment on it now. I thought I’d be getting a lot of hate comments, due to my siding with Palestine, but so far: no death threats — or comments. Pointers, critiques, and ideas to improve it are welcome. Some of my articles, like the one I wrote about Neil Young I already know aren’t very good. But I’ll improve and get more consistently good over time. I think the world is splitting sides between Palestine and Israel and it almost seems the scenario on opinions changes from day to day or week to week, perhaps even confusion about ones own opinion depending which side commits more gruesome “actions” on the ground. You are not making any logical arguments when the Jugoslav army attacked Croatia the Bosniaks refused to mobilize they ignored it one of the reasons why they were pushed so much under the war they were simply not armed why will Alija argue against the independence of Croatia when he wanted to leave Jogoslavia 1 year later ? The arguments are logical and factual. a) Izetbegovic lobbied behind Croatia’s back against Croatian independence. This is fact. Feel free to verify in “Yugoslavia – Death of A Nation” (available in hard copy and paperback). b) He viewed the JNA as the legal army of not just SRBiH, but of SFRJ. c) Some Bosniaks refused the call to arms by the Serbianized JNA in their genocidal aggression against Croatia – with the entirety of the territory of B&H, save the Croatian areas where Croats were blocking armored colums with their bodies, as a staging area and territorial supply line for the Chetniks/JNA genocidal aggression against RH. Others, like Gen. Delic, Hadzihasanovic, Halilovic, Kubura and basically the entire ABiH Bosniak general staff, took part in the JNA – Chetnik genocidal aggression against Croatia in 1991.
e) Izetbegovic and SDA never had a clear goal. They refused Croatia’s and BH Croats’ begging of him and SDA to organize defense for what was the logical, and openly stated Chetnik-JNA goal of greater Serbia at the expense of 100 percent of BH territory and 2/3 of Croatia. f) Izetbegovic was double-dealing with the Serbs before and the duration of the war. The double game long preceded the open SDA agenda in 1993. As the first killing of Croats by Muslims/Bosniaks took place on Radusa mountain in June, 1992, when an HVO four-man leader’s recon was ambushed by their Bosniak “allies,” for which no one was held accountable. All the way through to the January 26, 1993 massacre of Uzdol (https://inavukic.com/2013/09/16/in-memory-of-croatian-civilians-massacred-in-uzdol/; accompanying video: https://www.youtube.com/watch?v=iu03YS8ayCI), and after, the TO and ABiH were engaging in probing attacks and HVO supply lines and anti-VRS/JNA operation disruption, up until the Washington agreement. Not only did Alija “Tekbir” Izetbegovic NOT want a multiethnic, power-sharing BiH, he never did, and neither did SDA, the party he formed and the party he was head of. Here is their 1993 SDA party meeting video. Alija was a speaker and was present for the entire meeting, fyi. Also recommend The Muslim Croat Civil War in Central Bosnia, 1992-1994, by Lt. Col. Doctor (History, Columbia University) Charles Reginald Schraeder, who objectively and chronologically demolished, point for point, years of UK deep state media/MI6-Foreign Office-Belgrade propaganda machine-Sarajevo propaganda machine-USAID (CIA-State Department)-ICTY propaganda, and crushed the Blaskic, Koridic, and Prlic et. al. indictments and prosecution Stalinist show-trial “arguments” in his seminal work, which can be ordered here: http://www.amazon.com/The-Muslim-Croat-Civil-Central-Bosnia/dp/1585442615. WThe Yogoslav army was the legal army of Bosnia Herzegovina until the 1 March 1992 according to international laws they had rigth to stay in Bosnia and Izetbegovic could not in the public call for the Bosniaks to attack the army bases until the indepedence referendum and international regonizations the SDA plans was too loot the army bases but the Serbs had already taken the weapons. And SDA could not get armed before 1992 from who ? it was heros like Gen. Delic that in the end destroyed Serb forces in Bosnia and made it much easier for croats to start operation storm. True SDA was not organized or ready for Serb genocide but in the end they liberated their homeland and returned us our lost indepedence and for that we will always be grateful. May God bless them. As I said before it does not make any sense for him to speak against Croatian independence when nobody hated Yugoslavia more than him. He was always in opposition to Yugoslavia in his life even fighting for Bosniak independence as a young boy unlike the fake patriots who joined the independence train the last minute……. There is nothing he or SDA could had done to stop Bosniak individuals to figth in Croatia just like thousands of Croats was fighting in Slovenia in 1991 on the side of the Federal army. The SDA was expecting to loot the army weapons from JNA when they were leaving Bosnia but the Serbs were one step ahead and had already being armed by the National army. The rest of the war Bosniaks survived on the weapons that Iran and Arab countries donated to the Liberation war without them we will not had survived. Later the Americans began to train our forces. The Croats attacked their Bosniak allies in 1993 and worked with the Serbs the Croat forces killed 2000 Bosniak civilians in the Lašva Valley ethnic cleansing the reason why the Croat Bosnian criminal leadership is today jailed. 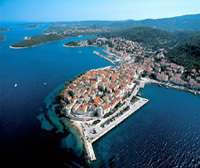 The Croatian leader even visited us in 2010 and apologized for the Croat war crimes. Around 200 Croat civilians killed by Bosniak forces in revenge. Dear Ina Vukic, I’m really impressed by your writing. I’m a PhD candidate studying on complex victimhood in reconciliation processes. I was wondering if you agree to do an interview with me.